Continuing Joel Spring’s reportage and analysis of the intersection of global forces and education, this text offers a comprehensive overview and synthesis of current research, theories, and models related to the topic. Spring introduces readers to the processes, institutions, and forces by which schooling has been globalized and examines the impact of these forces on schooling in local contexts. Designed for courses on globalization and education, international and comparative education, educational foundations, multicultural education, and educational policy, the text is written in a clear narrative style to engage readers in thoughtful consideration of topics discussed. Each chapter includes "Key Points" that summarize the content and suggest issues and questions for critical analysis, discussion, and debate. Religious and Indigenous Education Models: A Clash of Civilizations? 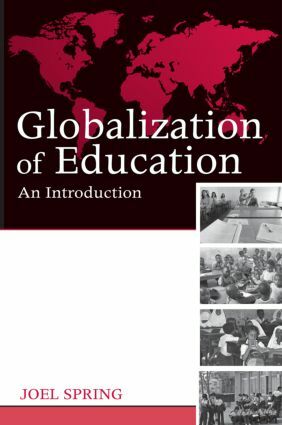 Globalization and Complex Thought: Is There a Theory of Educational Globalization?